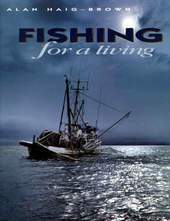 This is the fictional account of a British Columbia fishing boat and the people whose lives she touched. Launched as a Japanese immigrant's dream in 1926, the SuzieA went on to become part of the lives and dreams of Canadians of Norwegian,Yugoslavian and First Nations descent. It is an account in which the racism that has pervaded so much of the history of the West Coast plays an important and heart wrenching part. This is also an account of British Columbia's Commercial fishing industry that is carried out amidst some of the world's most difficult and spectacular waterways. 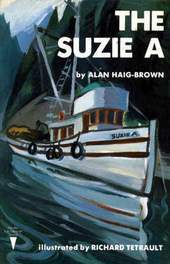 But especially it tells the sixty-year saga of Ritchie and the Suzie A,the boat he grew to cherish. Macleans Magazine: recommended list Dec.9/96 1997 The Roderick Haig-Brown, B.C. Book Prize, for contributing most to an appreciation of British Columbia Exhilarating, treacherous and magnificent, the Fraser River is one of the world's great rivers- the longest and most powerful undammed river in North America, and one of British Columbia's breathtakingly beautiful scenic wonders. 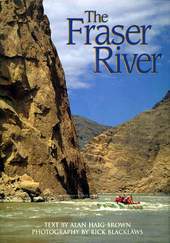 In this portrait of a truly grand river, Alan Haig-Brown and Rick Blacklaws share their longtime fascination with the Fraserall 850 miles of it, in all of its many moods and seasons. All too often people born outside of Canada find it easier to define what it is to be a Canadian than those born here. 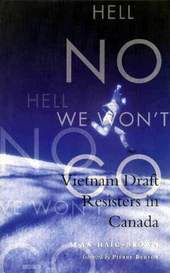 In Hell No We Won't Go 20 American Vietnam War draft-resisters, deserters, and conscientious objectors tell us of their struggle in leaving their families and homeland and what Canada means to them. In what the Globe and Mail has called "the biggest exodus of its kind since the American Revolution drove the United Empire Loyalists from the Thirteen Colonies"thousands of the America's brightest and best young people settled in Canada.